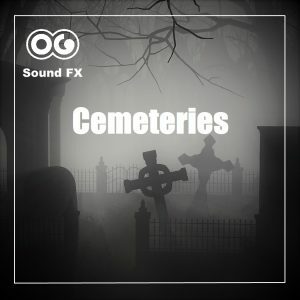 creepy | OG SoundFX - High Definition Sound FX & Ambient Loops. View cart “Ghosts and Haunted Album” has been added to your cart. 1 - 20 out of 61. You are browsing 1020406080 per page. This spell throws a huge fire ball is thrown at high speed and hits a target destroying and burning everything on its path. You can find this track in the Magic Spells Album which includes all 18 Magic spells for only $6,99 ! 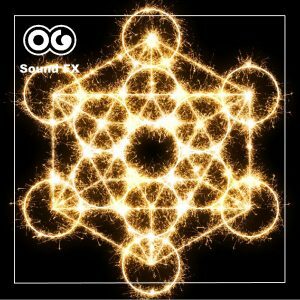 Feel free to browse the Album section for more great deals: SFX Packs All tracks are High Quality 48Khz/24 bit WAV files. This album is a collection of Ghost sounds and Haunted Places. You will find all sorts of Ghost manifestations. Screams from beyond, scary moaning and whispering, horrifying laughs, grunting lost souls or cries from the rising dead, spooky atmospheres, creepy cemeteries, background loops, haunted caves and so on. This library contains 32 tracks for a total of 838 Mb. All files are stereo 24-bit 48kHz WAV format. Background atmosphere of a creepy medieval castle, possibly in ruins. Outside it's probably night and the weather is stormy. We can hear the strong winds and the thunder rumbling afar. Inside, it's cold and wet. Water is dripping all around. Mice and bats walk a fly furtively here and there. 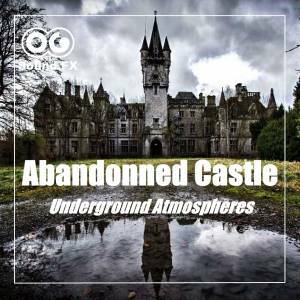 This track is perfect to illustrate a castle or a dungeon or any interior scene that takes place in a wet, abandoned place. You can find this track in the Underground Atmospheres Pack which includes over 1,4 GB of sound effects for only $29! Feel free to browse the Album section for more great deals: SFX Packs All tracks are High Quality 48Khz/24 bit WAV files. This Ghost sounds like its in extreme agony. A terrible scream of pain and suffering, maybe a lost soul that is being tortured by other ghosts ? You might not want to stick around ! 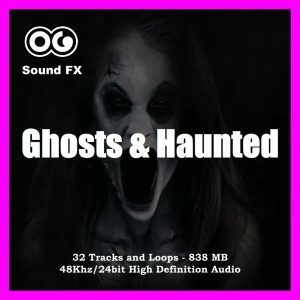 You can find the whole collection of Ghost Manifestations in the Ghost and Haunted Album which includes over 800 MB of sounds and Atmospheres, for only $29 ! 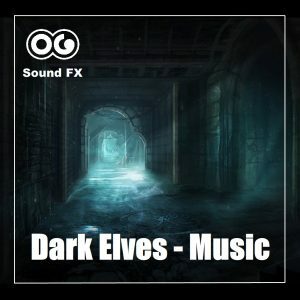 Feel free to browse the Album section for more great deals: SFX Packs All tracks are High Quality 48Khz/24 bit WAV files. This Ghost manifestation is a very scary laugh coming from beyond the world of the living. A lost soul is getting near and is coming at you ! It's time to run as fast as you can ! You can find the whole collection of Ghost Manifestations in the Ghost and Haunted Album which includes over 800 MB of sounds and Atmospheres, for only $29 ! Feel free to browse the Album section for more great deals: SFX Packs All tracks are High Quality 48Khz/24 bit WAV files. 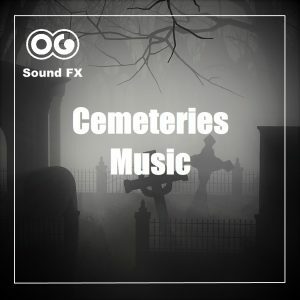 This is a simple background sound environment taking in a cemetery at night, or anywhere you can hear crows and owls, which makes the environment creepy. You can hear the wind blow in the trees, a cricket, a church bell from time to time, and the crows and owls. The air is thick and the atmosphere is scary but not overwhelming. It is very realistic, there aren't any supernatural occurrences. 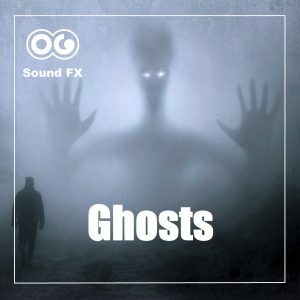 You can find the whole collection of Ghost Manifestations in the Ghost and Haunted Album which includes over 800 MB of sounds and Atmospheres, for only $29 ! Feel free to browse the Album section for more great deals: SFX Packs All tracks are High Quality 48Khz/24 bit WAV files. Inside humid caverns where you can hear the echo of the water dripping all around and a small stream nearby. Perfect to illustrate documentaries or shows about caving and speleology, but also any scene taking place in a dark and humid underground. Also perfect for video game projects. 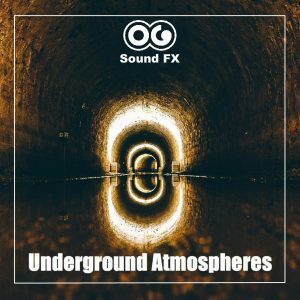 You can find this track in the Underground Atmospheres Pack which includes over 1,4 GB of sound effects for only $29! Feel free to browse the Album section for more great deals: SFX Packs All tracks are High Quality 48Khz/24 bit WAV files.